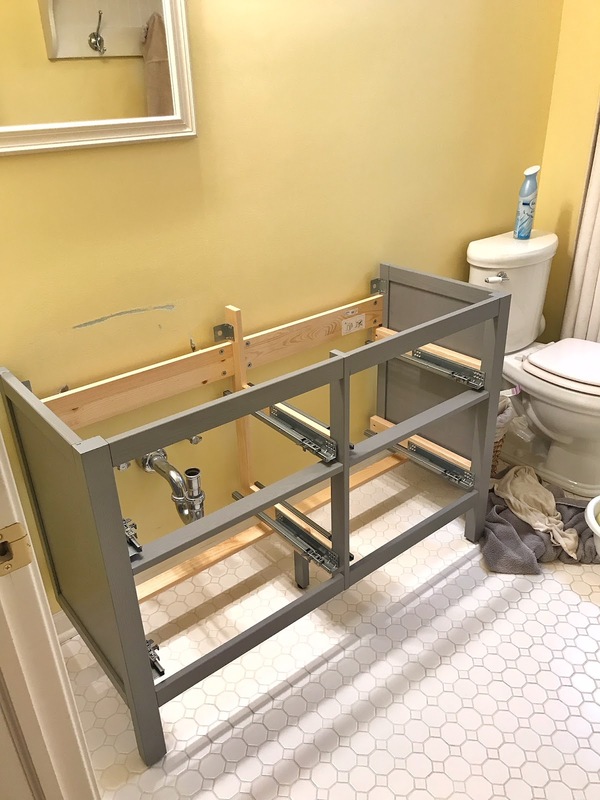 To catch you up to speed, we are making over our upstairs guest bathroom. 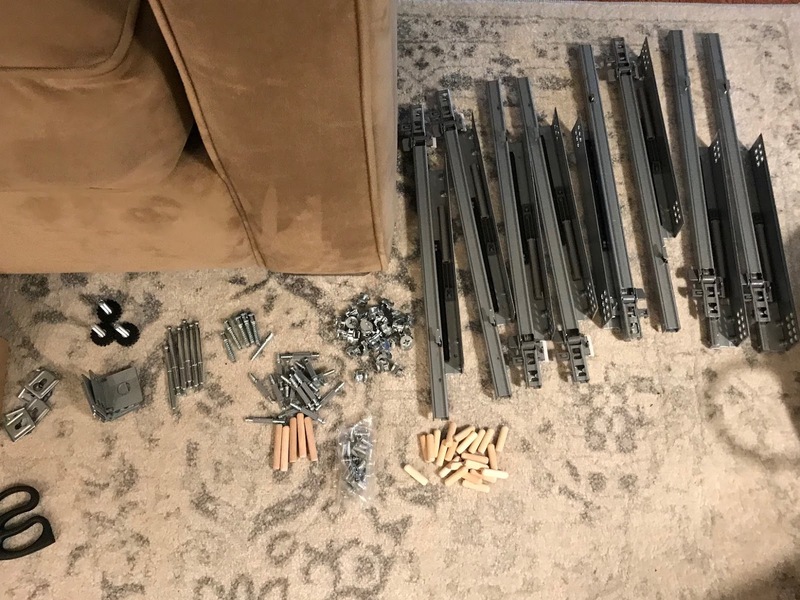 In Week 1 I shared the plan for this room. 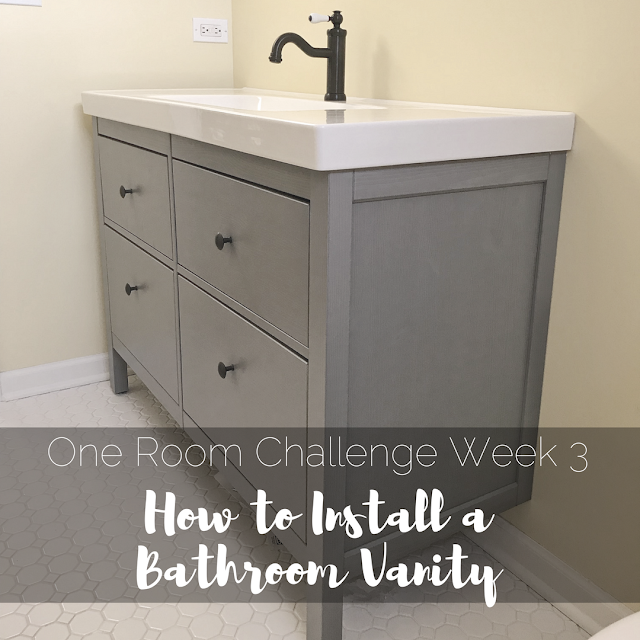 In Week 2 I talked all about finding bathroom vanities on a budget and this week we are showing you a step by step guide to installing a vanity yourself! 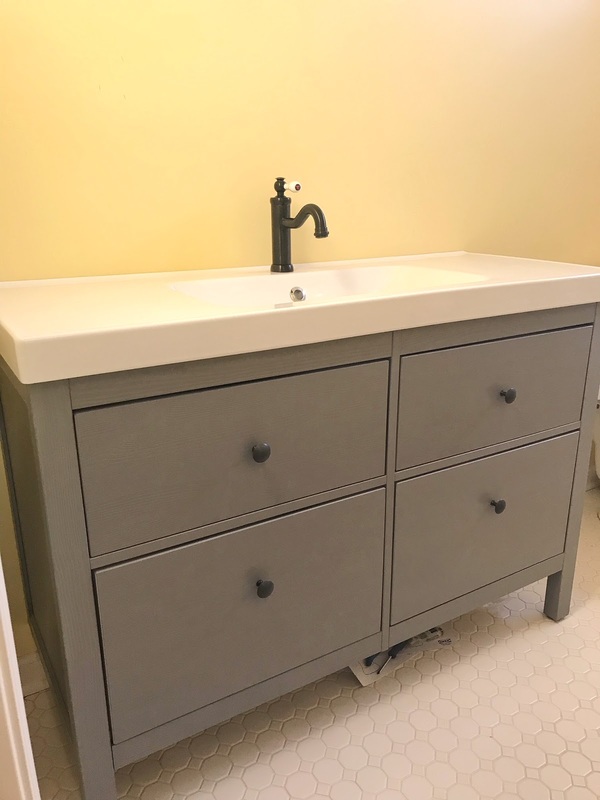 We chose the Ikea Hemnes/Odensvik Sink Cabinet with 4 Drawers in grey. Online it does not show this option but it is available in this color! In fact, almost everything in Ikea's bathroom department is mix & match so you can customize it! 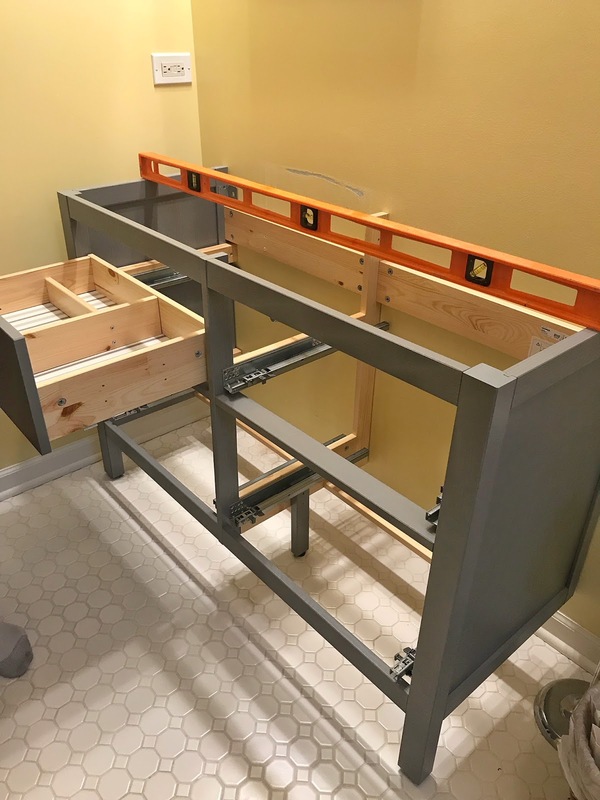 Since this was an Ikea product we did have to start by assembling the vanity and drawers. I actually find it therapeutic putting together Ikea furniture! 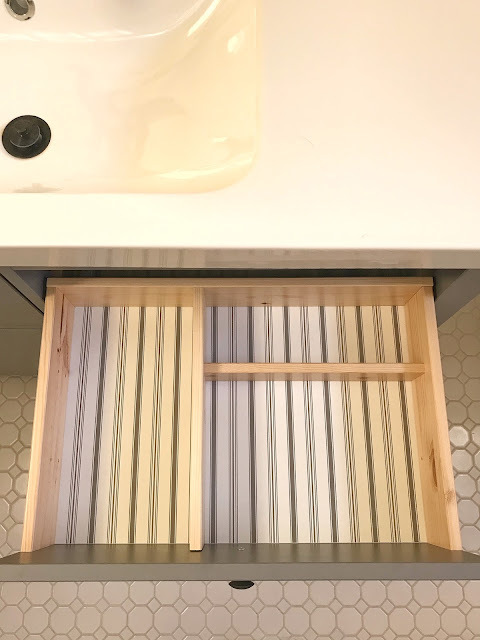 Once you have built your cabinet it is time to position the piece where you'd like it in your bathroom, making sure everything is level. 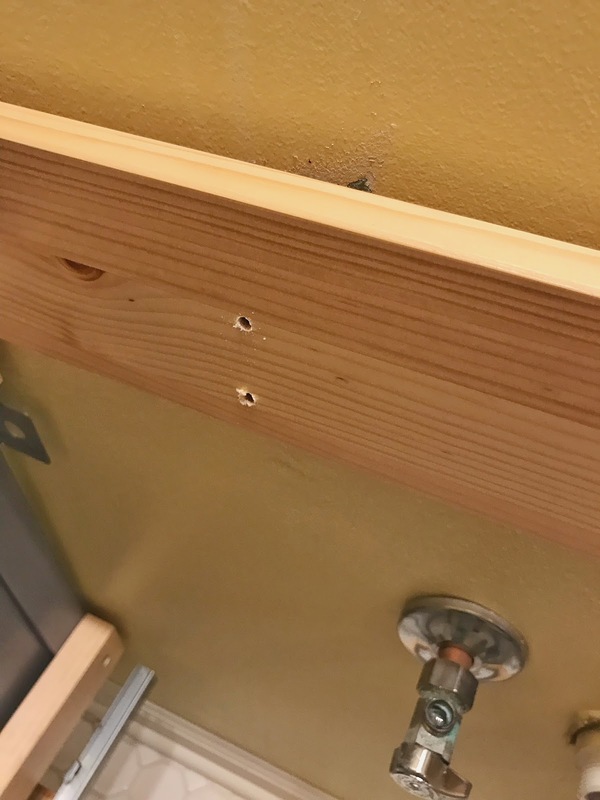 This particular piece came with three points to anchor to the wall but they did not line up with our studs in the bathroom so we did have to drill through a different part of the vanity. In our case we decided to line up one of the anchor points and improvise with the other two. Once the piece is anchored to the wall it's time to attach the sink top. 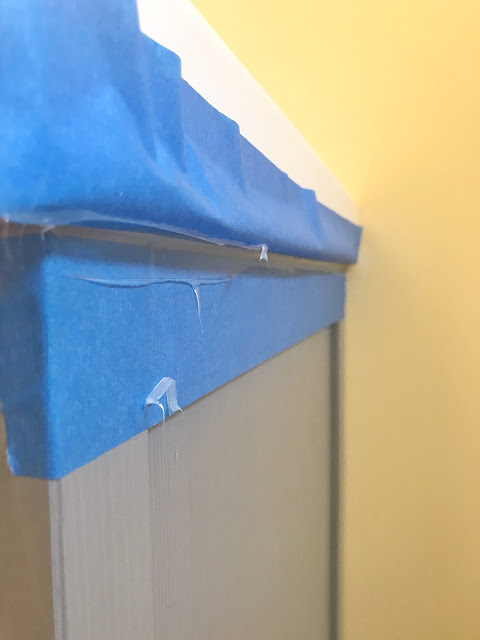 We started this process by putting some painters tape around the piece to protect it from caulk that may ooze and drip. 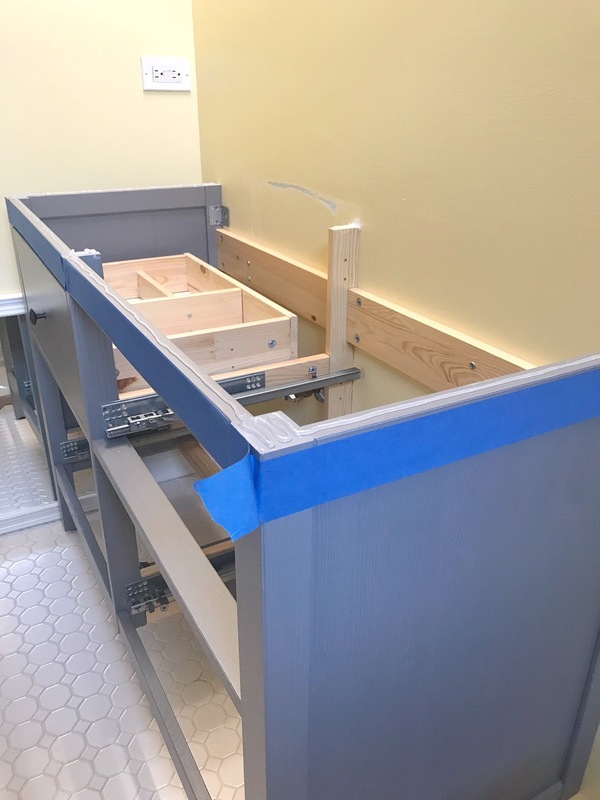 Then we applied a line of clear caulk to the top of the vanity and set the sink top on top of it. 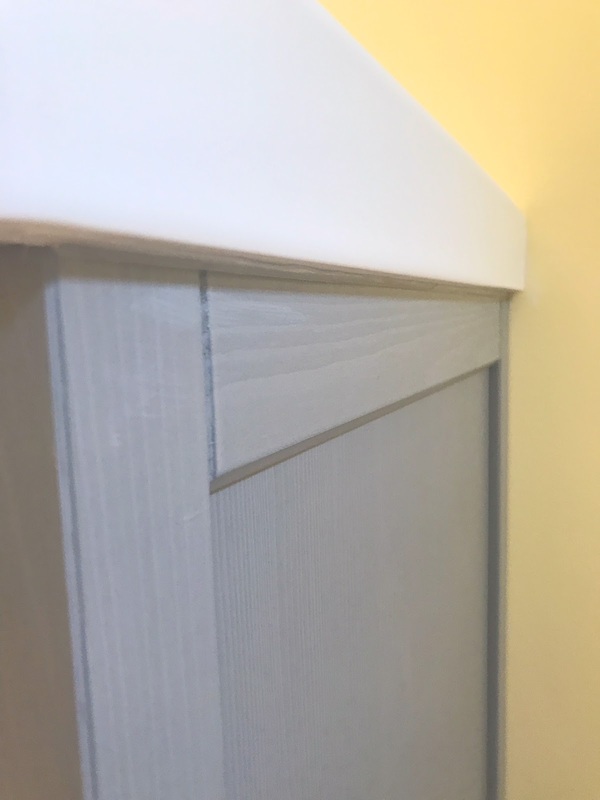 Once we have the top positioned where we liked we caulked the sides and back of the sink using the same clear caulk. 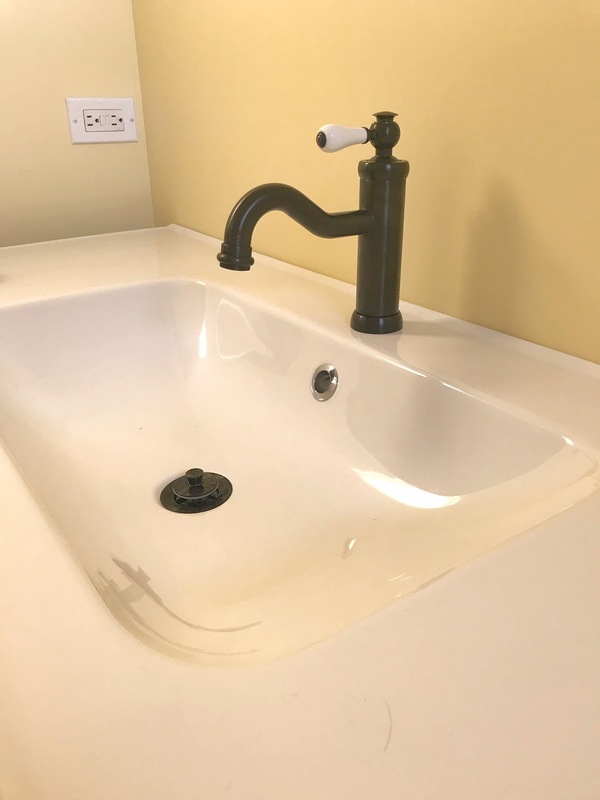 This was a life saver because it filled in any gaps and made imperfections less noticeable (and trust me- there were imperfections to this sink top). 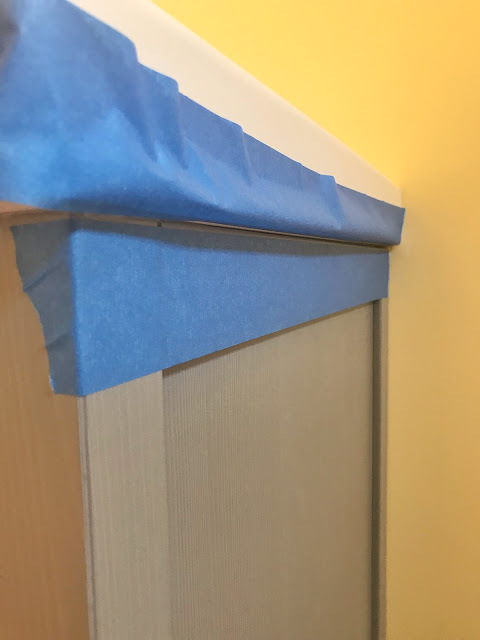 Again, be sure to use painters tape if you're a beginner like me because it made the process SO very easy and clean up minimal! But be sure to remove the tape while the caulk is still wet to avoid ripping it all up. 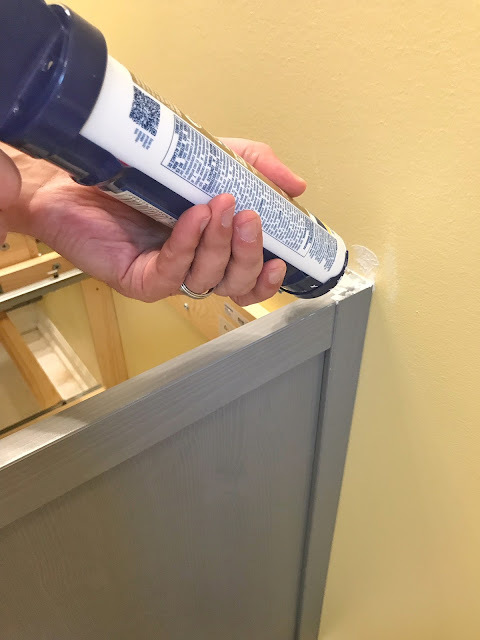 The caulk takes about 4 hours to set but we allowed it to sit overnight to be sure. Once the caulk was set we worked on attaching the faucet and plumbing. 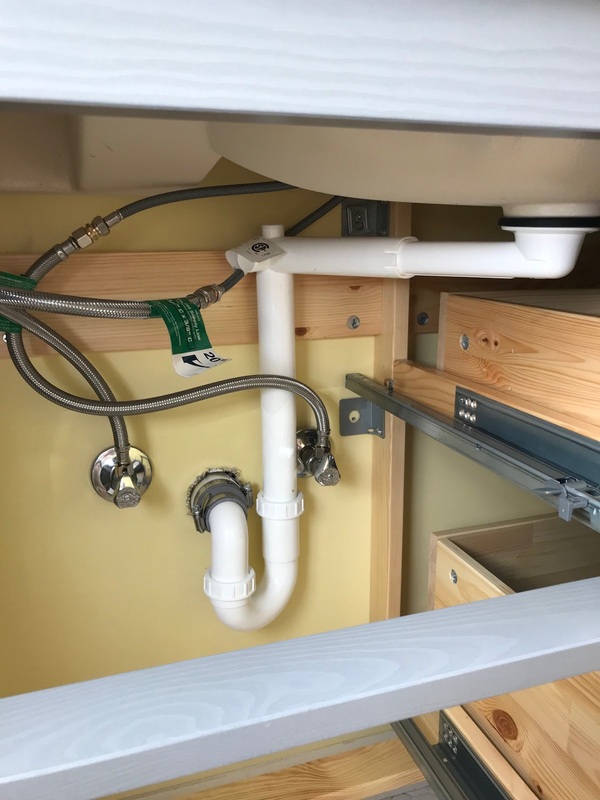 I hesitate to give detailed instructions on plumbing because I am in no way, shape or form a professional but here's a quick shot of the finished result. 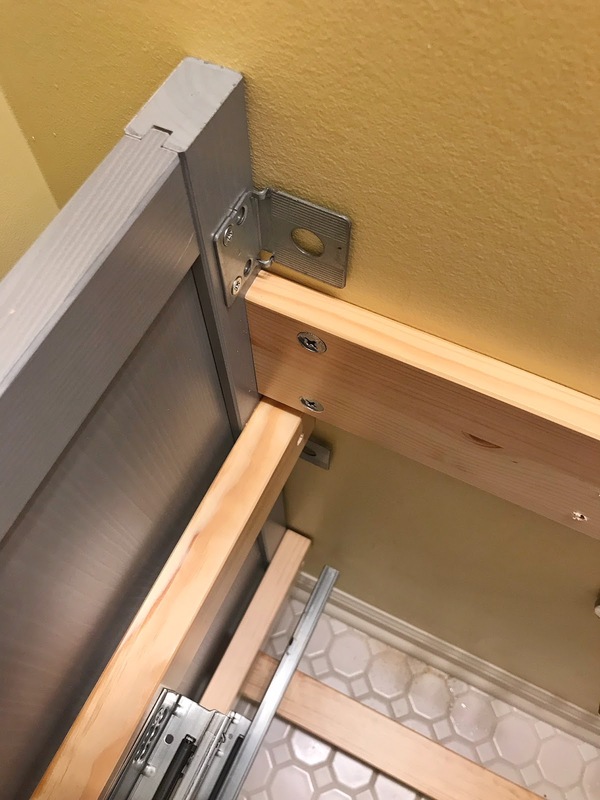 Ikea plumbing is unique because of the drawers which actually worked in our favor because our plumbing was off center. 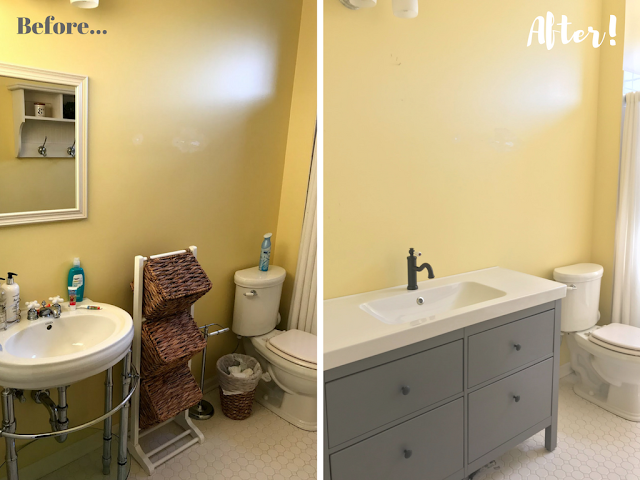 And just like that we have a new vanity! 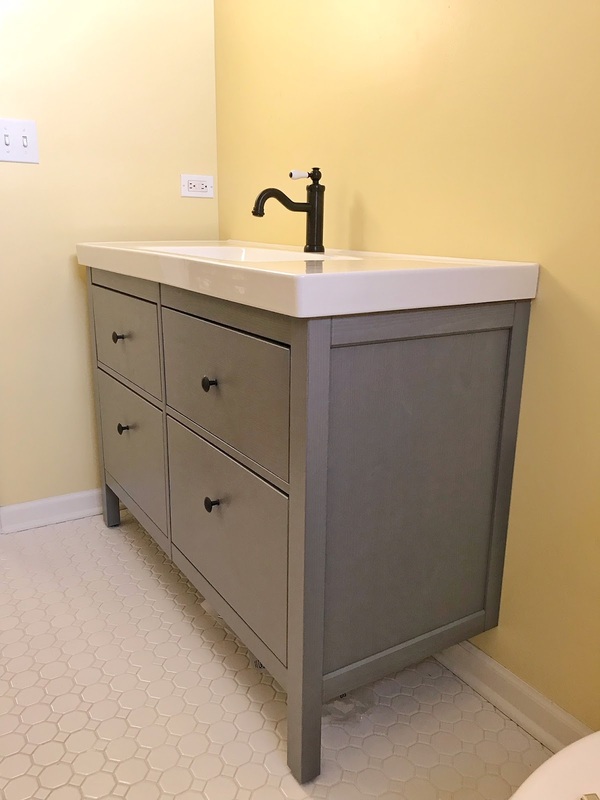 I cannot believe how this piece alone transforms this space and provides so much more function that the old pedestal vanity. I am so beyond excited to watch this room come together! 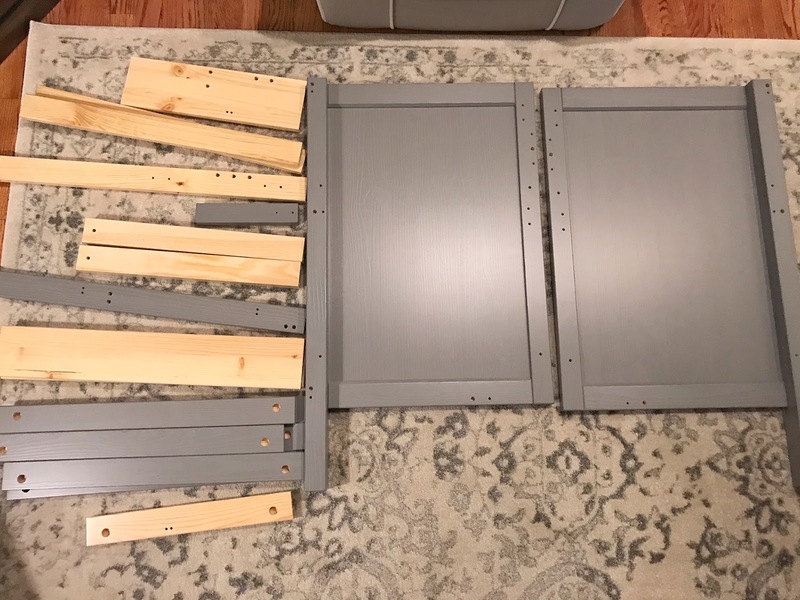 Let's see a quick before and after! Make sure you take a look at all of the featured designers and guest participants who are completing the One Room Challenge and be sure to check back next week for Week 4 of this challenge where I'll be sharing a DIY shiplap wall! Your vanity turned out beautifully...and it a great tutorial too! Best of luck for the rest of ORC! Hi Kristin! Thank you so much! I'm excited to see this room come together!